Giving a Sound Healing Session with Tibetan Bowls and Reiki. Course Requirements: Reiki 11 training or Masters. You will receive a symbol to connect you with Ascended Master Djwal Khul & the Sound Ray. 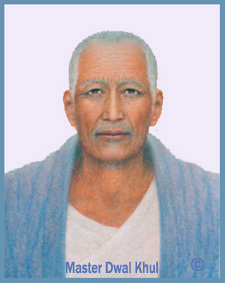 Find that deep still space within under the guidance of Djwal Khul. 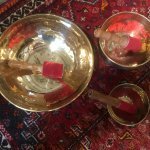 Learn about Tibetan Singing Bowls and their unique healing qualities. Choosing your bowls and any other sound tools. Sound creates colour connecting to the chakras and the aura. Learn the benefits of Sound Healing and combining Reiki with Tibetan Bowls. Tibetan Bowls transport you through time, healing the past and past lives. The Bowls have been used as healing tools for thousands of years, and for meditation and ceremony. Learn a structure and outline to give a Sound Healing with Reiki and Tibetan Bowls. Combine the Reiki Symbols with the Sound Healing. You will receive an Initiation, which was previously named an attunement. This will raise your consciousness and connect you on a deeper level with Djwal Khul and the Cosmic Sound Ray and Cultures that used sound in healing. Feel a deeper connection with your Soul as your mind is cleared from clutter, and your intuition expands. Receive a certificate from the School providing you with a professional qualification as Reiki Sound Ray Practitioner. Once you have completed the Sound Ray Practitioner Level, you can complete the 1 Day Teachers Training which will enable you to teach this module.